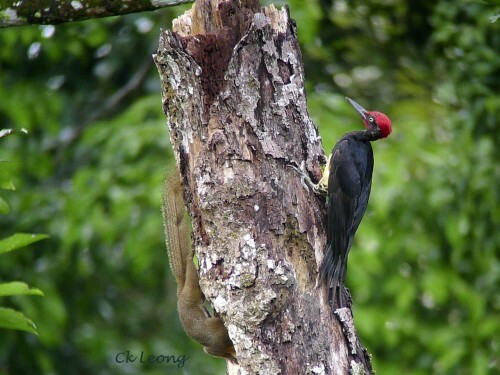 The White-bellied Woodpecker Dryocopus javensis is loud and unmistakable. For now it is still fairly common in lowland and mangrove forests. With its preference for foraging on dead trees, reduction of habitat with corresponding decline in food sources and suitable nesting holes must surely be a problem for this species. Usually in pairs or family parties.